For a generation, Astronomy: A Self-Teaching Guide has introduced hundreds of thousands of readers worldwide to the night sky. Now this classic beginner's guide has been completely revised to bring it up to date with the latest discoveries and graphics. you to quickly grasp the basic principles of astronomy and start observing the night sky. 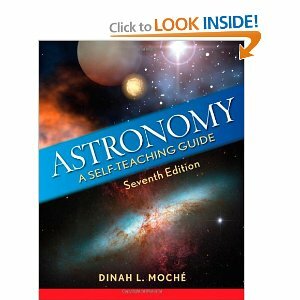 The book includes objectives, reviews, and self-tests, and can be used on its own as a self-teaching guide or as a supplement to astronomy course materials. This book has an outstanding introduction to astronomy. It's up to date with wonderful photos and straightforward explanations.